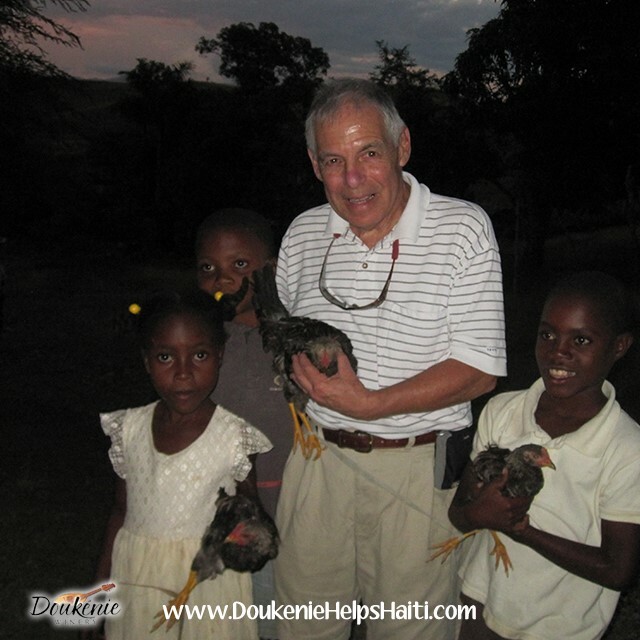 Doukénie owner, Dr. George Bazaco, visits Thomassique, Haiti twice a year with Medical Missionaries (http://www.medmissionaries.org) to offer medical support. He works out of the St. Joseph Clinic and sees patients that suffer from cholera, malnutrition and a host of other diseases and conditions. Helping the children find relief is most rewarding to Dr. Bazaco. Dr. Bazaco is asking your help. Over the counter medications are easily accessible here, but not so in Thomassique. Consider donating a bottle of aspirin or vitamins for him to take and distribute. Donations not received before his next trip will be sent down with other doctors going at a later time.